Standard and custom turnkey solutions. Open frame Class IV systems for large and small mold repair and fully enclosed Class I systems for manual and automatic welding operations available. 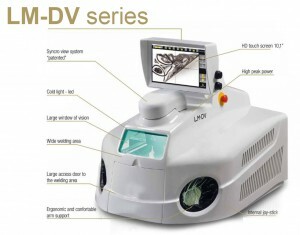 Bench top laser welding workstations. 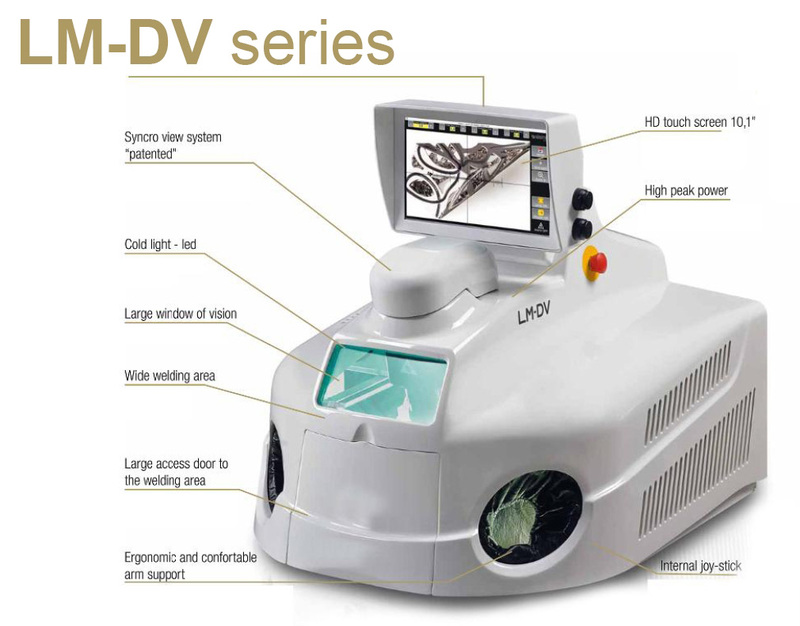 Features touch screen color display, user friendly software and operator interface, memory for 250 welding parameters, internal joystick control of welding parameters, stereo microscope, air and gas nozzles, & integrated cooling system. Flexible design intended for integration. Robust fiber optic beam delivery system. Easy and intuitive remote color touch screen display. 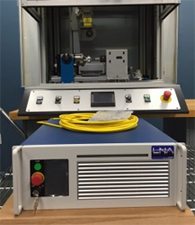 LNA’s new quasi continuous wave (QCW) fiber lasers are ideal for spot welding, seam welding & drilling in the long pulse operation mode. These air-cooled, compact units are substantially more cost-effective than conventional YAG lasers due partly to >30% wall-plug efficiencies and maintenance-free operation.